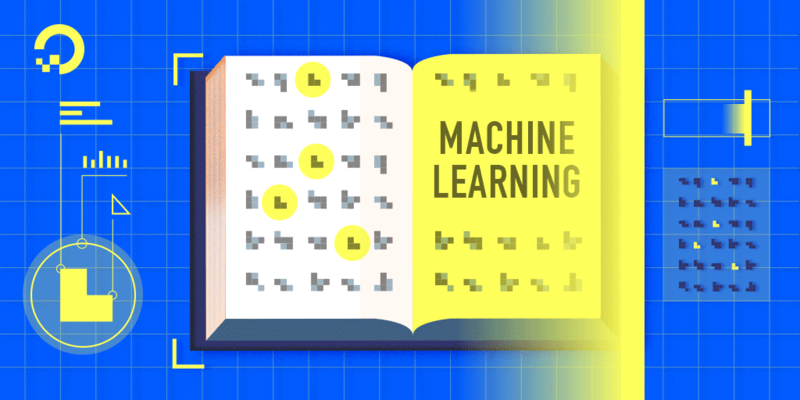 In simple terms, Machine Learning is an idea to learn from examples and experience, without being explicitly programmed. Instead of writing code, you feed data to the generic algorithm, and it builds logic based on the data given. There are many examples of machine learning. Here are a few examples of classification problems where the goal is to categorize objects into a fixed set of categories. Face detection: Identify faces in images (or indicate if a face is present). Email filtering: Classify emails into spam and not-spam. Medical diagnosis: Diagnose a patient as a sufferer or non-sufferer of some disease. Weather prediction: Predict, for instance, whether or not it will rain tomorrow. Two of the most widely adopted machine learning methods are supervised learning which trains algorithms based on example input and output data that is labelled by humans, and unsupervised learning which provides the algorithm with no labelled data in order to allow it to find structure within its input data. Let’s explore these methods in more detail. In supervised learning, the computer is provided with example inputs that are labelled with their desired outputs. The purpose of this method is for the algorithm to be able to “learn” by comparing its actual output with the “taught” outputs to find errors and modify the model accordingly. Supervised learning, therefore, uses patterns to predict label values on additional unlabeled data. For example, with supervised learning, an algorithm may be fed data with images of sharks labelled as fish and images of oceans labelled as water. By being trained on this data, the supervised learning algorithm should be able to later identify unlabeled shark images as fish and unlabeled ocean images as water. A common use case of supervised learning is to use historical data to predict statistically likely future events. It may use the historical stock market information to anticipate upcoming fluctuations or be employed to filter out spam emails. In supervised learning, tagged photos of dogs can be used as input data to classify untagged photos of dogs. In unsupervised learning, data is unlabeled, so the learning algorithm is left to find commonalities among its input data. As unlabeled data are more abundant than labelled data, machine learning methods that facilitate unsupervised learning are particularly valuable. Unsupervised learning is commonly used for transactional data. You may have a large dataset of customers and their purchases, but as a human, you will likely not be able to make sense of what similar attributes can be drawn from customer profiles and their types of purchases. With this data fed into an unsupervised learning algorithm, it may be determined that women of a certain age range who buy unscented soaps are likely to be pregnant, and therefore a marketing campaign related to pregnancy and baby products can be targeted to this audience in order to increase their number of purchases. In my next post, I’ll discuss different techniques used in machine learning such as decision tree, deep learning etc.